Then Nauman arfeen came to show up his mesmerizing collection he came up with the idea behind that “ An advice can make you or it can break you! 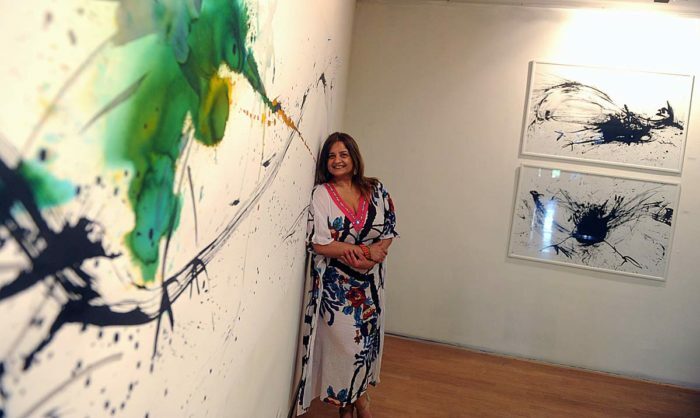 We all tend to seek the virtue, the wisdom to make our worries go away… but life is not easy… Contemplating this concept in mind, Nauman Arfeen brought forward his collection “ HAR SHAKH PE ULLU BAITHA HAI!”. Playing with denim and cotton, the designer has brought about a feel which is very summery and chic. Playing with cuts and embroidery, Nauman is showcasing a collection which is trendy yet wearable. Owl motifs are portrayed in embroidery and accessories. Let’s understand, HAR SHAKH PE ULLU BAITHA hai. Then we saw very talented Obaid sheikh’s collection named ‘Lost in the forest’. His collection brought motifs inspired from wild flowers and serene summer hues. He took us bit more closer to the nature as the collection was mainly based on jackets and co-operative wear extra ordinary brilliant cuts. 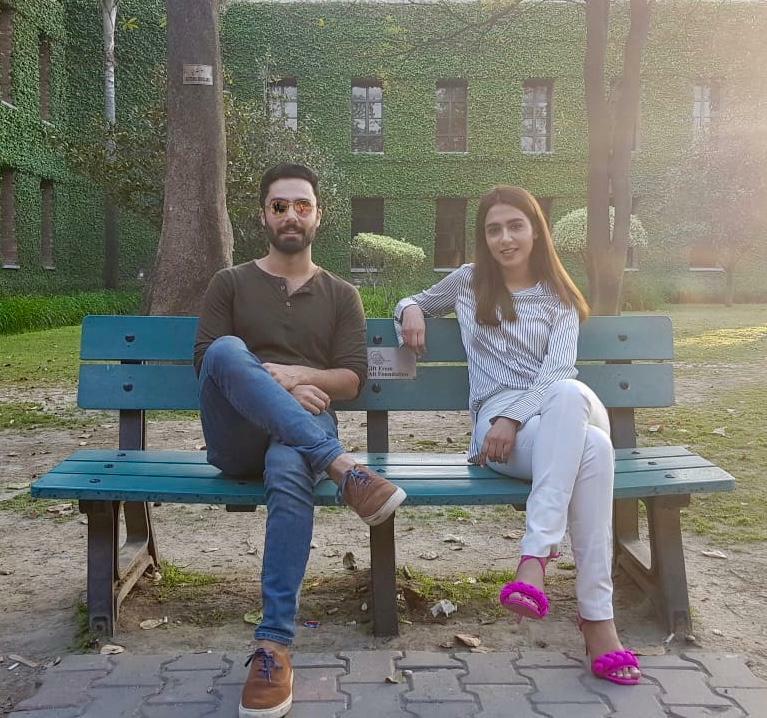 He had the show stoppers , Fahad mirza alongside Super pretty Azeka. 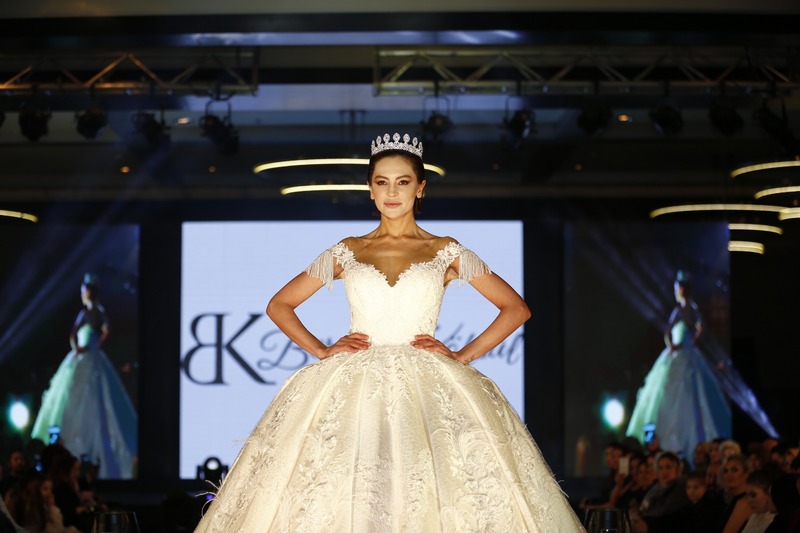 Then Alkaram presented its collection named ‘Mak O’keeffe’ who was a trailblazer of her time. The collection looks ultra-chic & modern contemporary. Containing pants and dresses for semi-formal, evening and street wear. They dedicated it to contemporary and edgy fashion and love of flare. Alkaram bedazzled the house with Mak’s debut collection. Rumi “Kun Faya Kun” inspired by sufism, this collection is about beauty and love. The free flowing, unrestrained cuts reflect freedom. The textures, color palette, and motifs exude a mystical aura. A celebration of Elegance and charm. 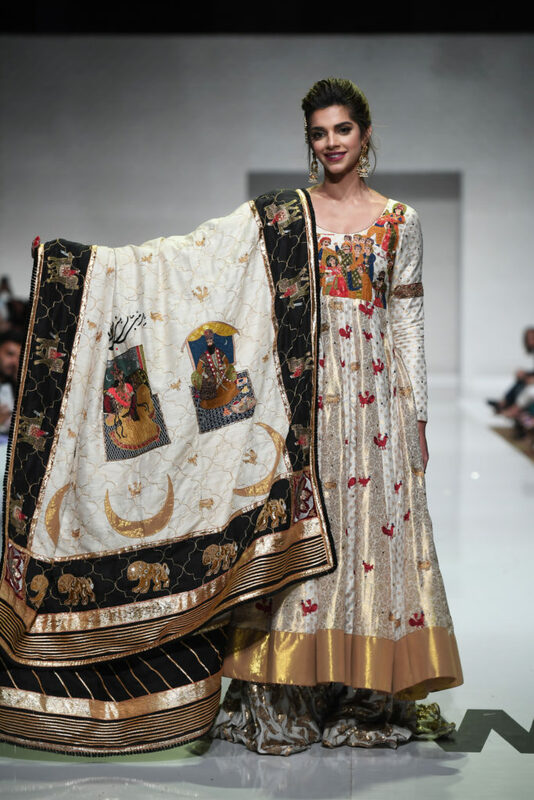 This collection was all about ethnic cuts with the touch of sufism and the entire collection was jaw dropping. 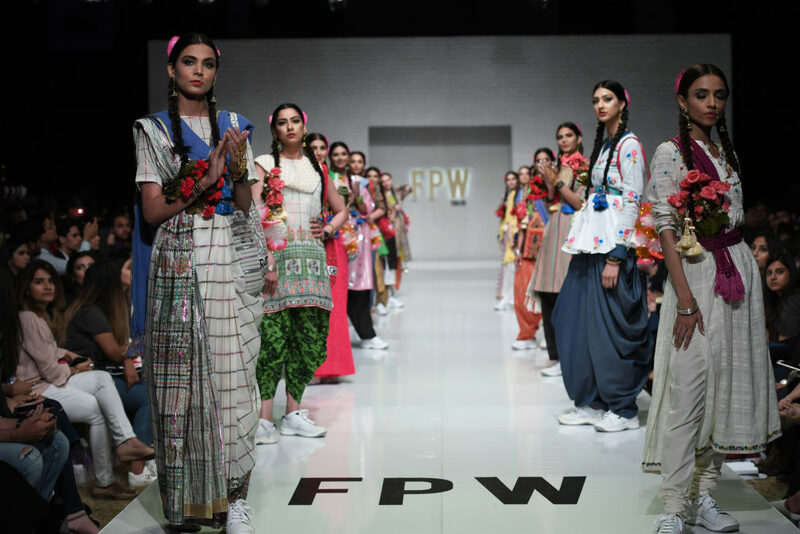 Fashion Pakistan week summer spring has came with more extra ordinary and innovative fashion trends. Day 2 was kicked off by the Generation. 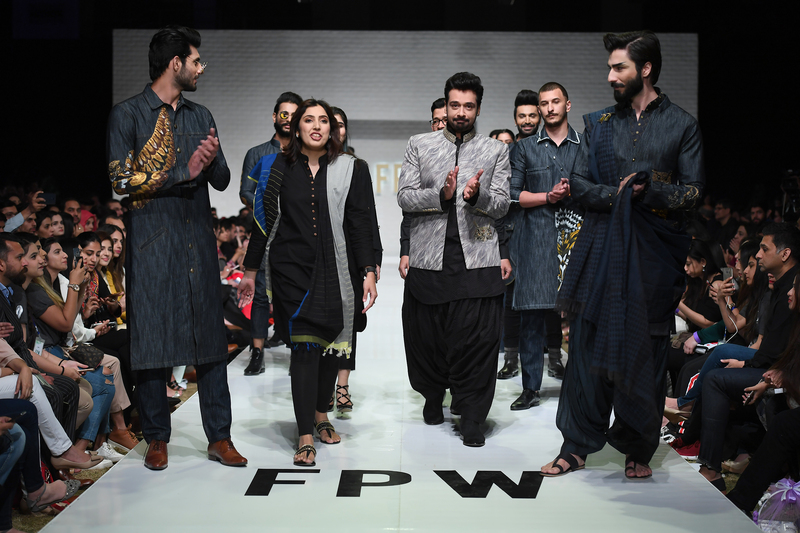 They showcased an amazing collection themed “nononsensenighat” which focuses on being Pakistani as they always focuses on one particular cause. 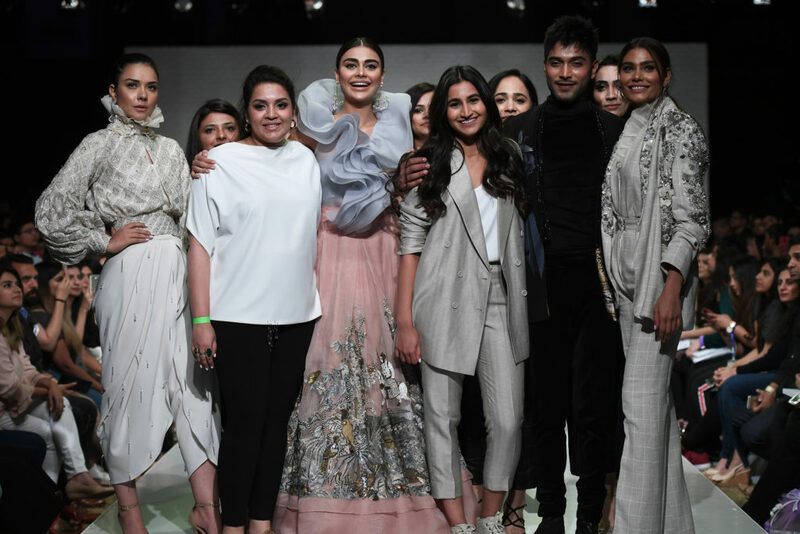 they featured 15 curated, ramp-to-retail pieces chosen from a myriad of collections from all our 7 lines (Basic, Woman, Classic, Cottage, Fusion, Flo and Formals) that embody Nighat’s unabashed, distinct yet quintessentially desi aesthetic. Then Ideas pret came in Showcasing exquisite designs that exude timeless elegance in refreshing hues, with the theme named “The Floral Raj” collection. The collection is inspired by motifs and elements of the Victorian era. The team has conceptualized a luxurious mix of modern contemporary separates. From peplums and corset to tops to voluminous sleeves. 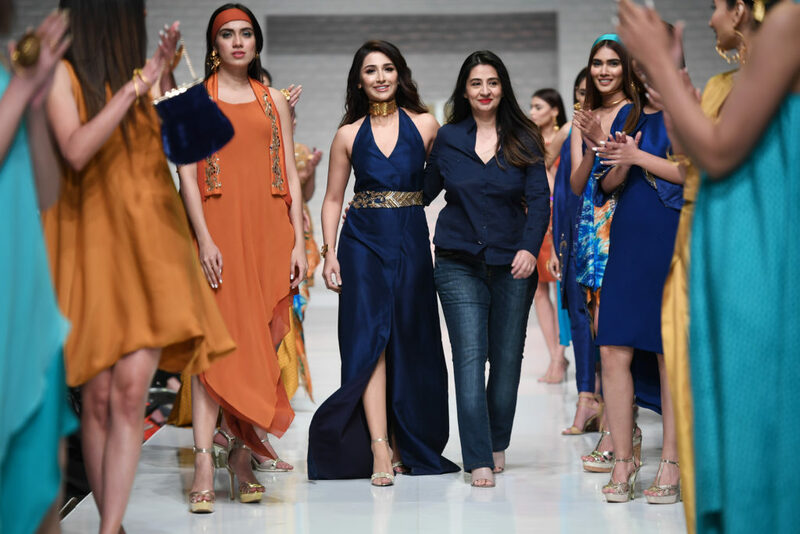 Then it followed by Yasmeen zaman the super talented designer showcased her collection named “zeke” which is inspired by vincent Van Gogh’s most renowned piece of art ‘the starry night’ with the intoxicating hues consisting blues , gold and oranges. The collection consisted of formal and semi-formal wear alongside evening , party. The collection looked so promising yet soothing with brilliant cuts. Fused seductive swirls and striking silhouettes. 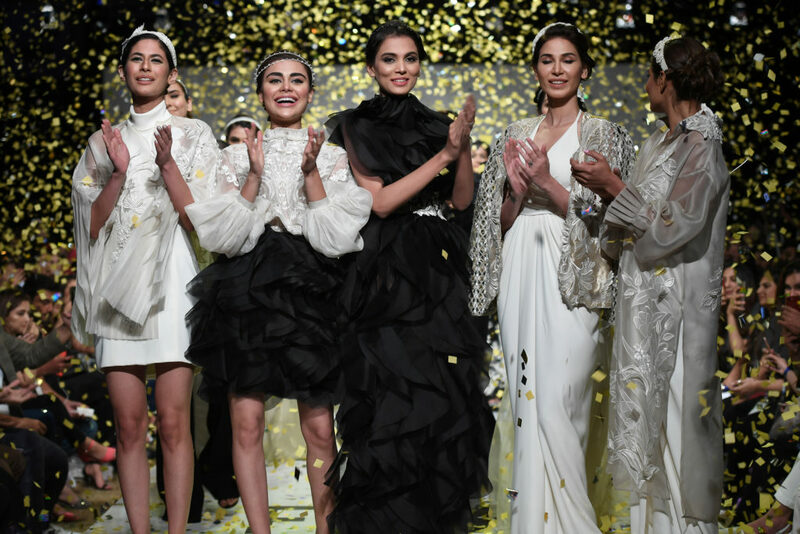 Then we had the finale of day 2 by “Saniya maskatiya” she showcased her NewYork Luxe evening collection by Sania Maskatiya is modern contemporary comprising of cutwork , ruffles, peplums. 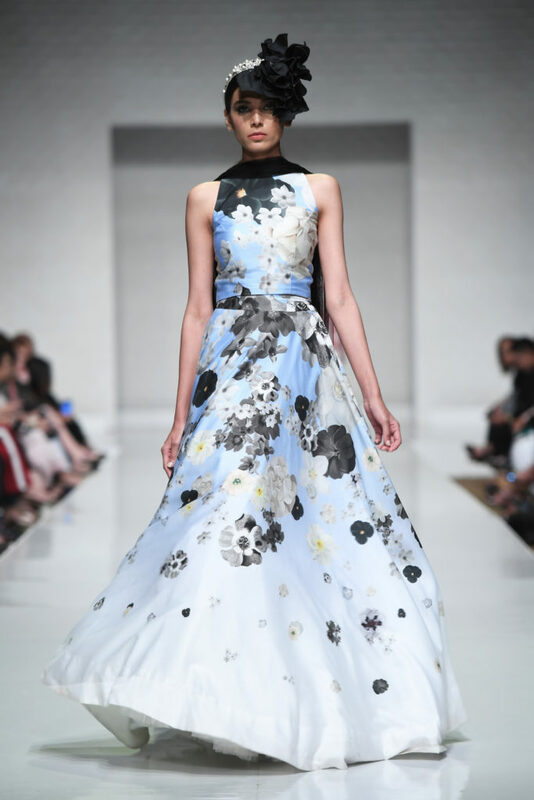 The designer has created a dream evening wear collection that is on top of our list. She just steal the show with the finale which went extremely good and it was mesmerizing. 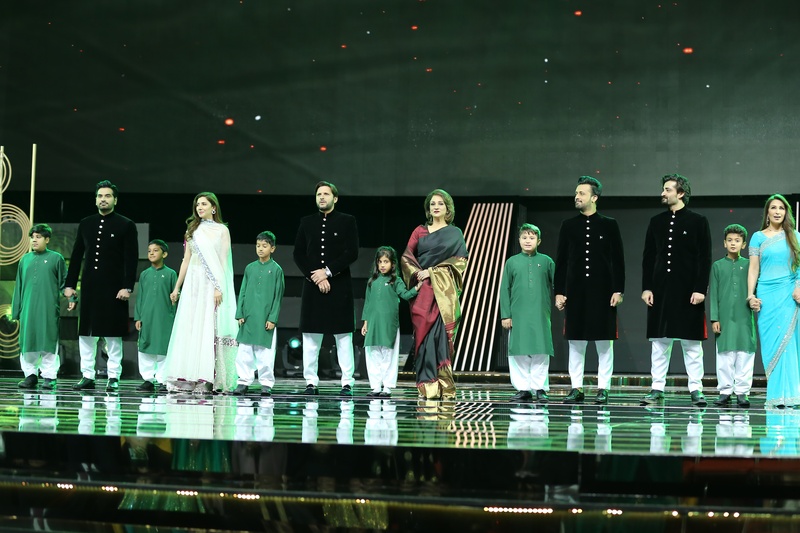 And with the finale by Saniya Maskatiya the day 2 got ended up. 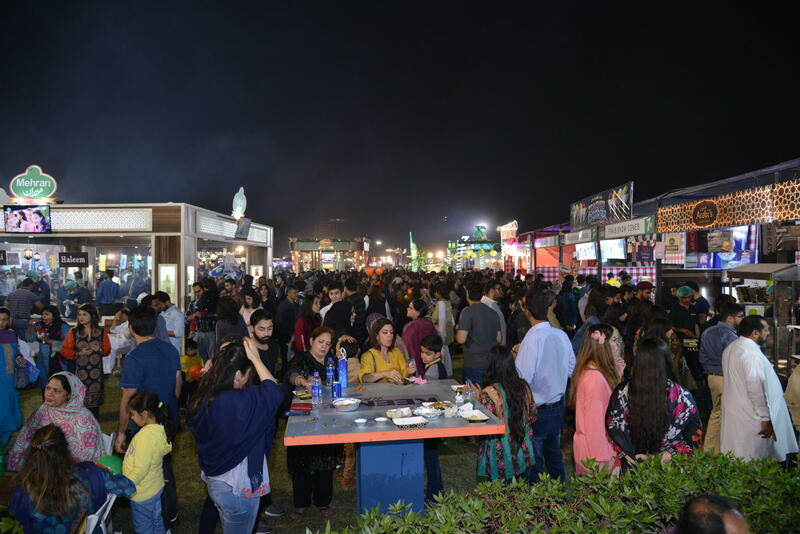 And we are looking forward for some amazing collections at day 3 which will e going to wrap by superbly talented Tena Durrani.